Assorted colors and designs. Hand made with leather strapping, woven yarn and feathers. 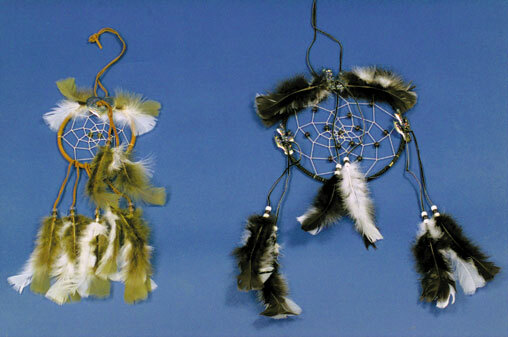 8 inch dream catchers. $4.25 each for 20 or more. $3.78 each for 60 or more.